The RIver Creek Golf Club is owned and operated by Club Corporation which offers reciprocity with hundreds of top-notch country clubs around the country for a minimal additional monthly fee. The majority of the 500 golf club members are River Creek residents: there is no competition for greens with resort guests or the general public. 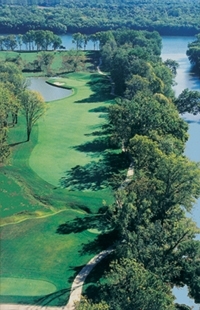 Membership includes course usage for all family members under the age of 23. Golf initiation fees are very reasonable, and are often refundable or transferrable to new owners, depending on the original membership contract. There is a new and growing golf program for juniors in cooperation with local high schools. Club Corp’s management has steadily increased membership and club participation, resulting in financial stability that allows annual improvements to be funded without special assessments.